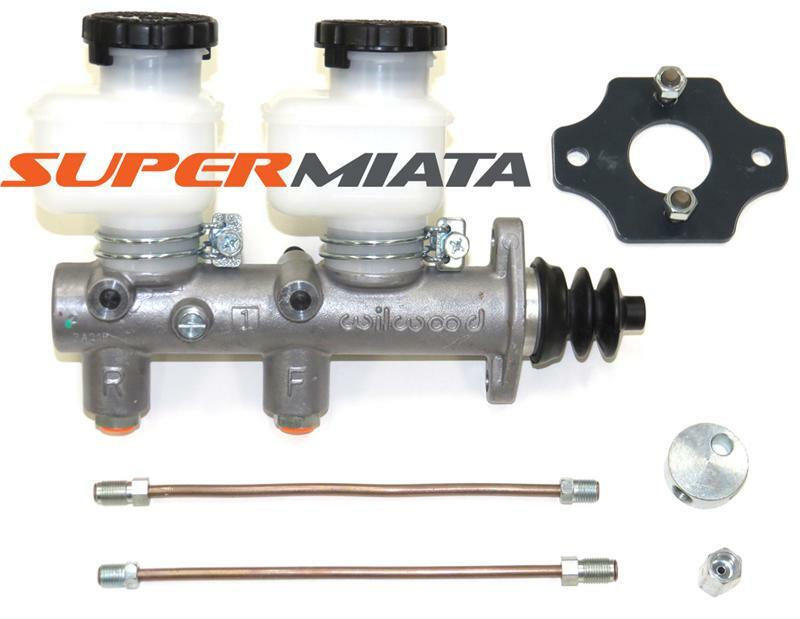 This conversion kit is intended for use with modified brake systems using larger than stock rotors, and/or aftermarket calipers. Such brake upgrades can increase brake torque for a given pedal effort. Because of this extra braking power, one can use a larger bore master cylinder to reduce the needed pedal travel and still achieve good pedal feel & modulation. The Miata left the factory with either a 7/8" or 15/16" bore master cylinder. This 1" bore master cylinder replaces the entire OEM master cylinder and reservoir. The master cylinder conversion will change the hydraulic advantage (think leverage ratio). The effect is to require more pedal effort for a given line pressure. The main reason to install this kit is to reduce the pedal travel needed to achieve a given line pressure compared to stock. Works with all years ABS systems. The other distinct advantage of the M/C kit is to relocate the reservoirs to someplace away from exhaust heat. We usually mount them in the cockpit of a race car.